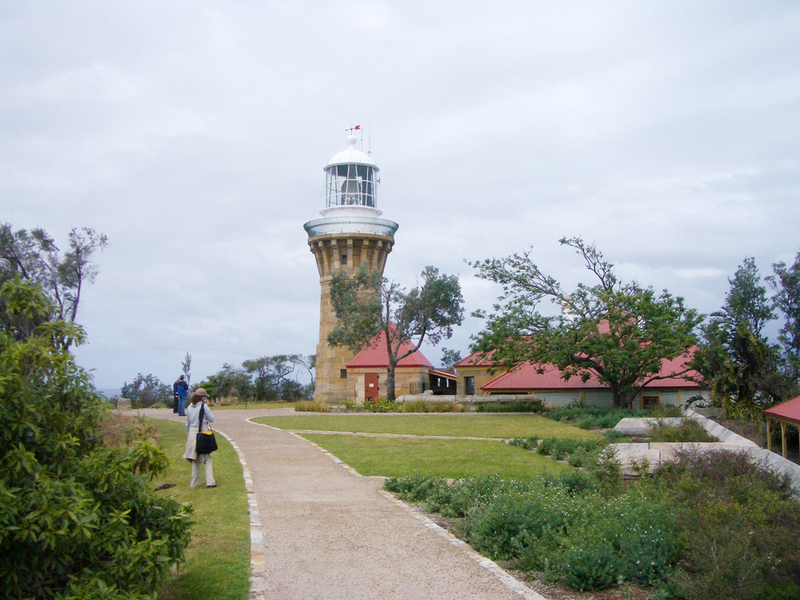 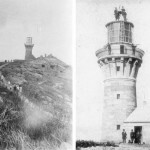 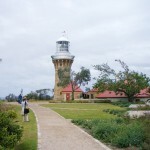 The NSW National Parks and Wildlife Service commissioned Phillips Marler to prepare a Heritage Landscape Masterplan for the historic lighthouse precinct at Barrenjoey Headland. 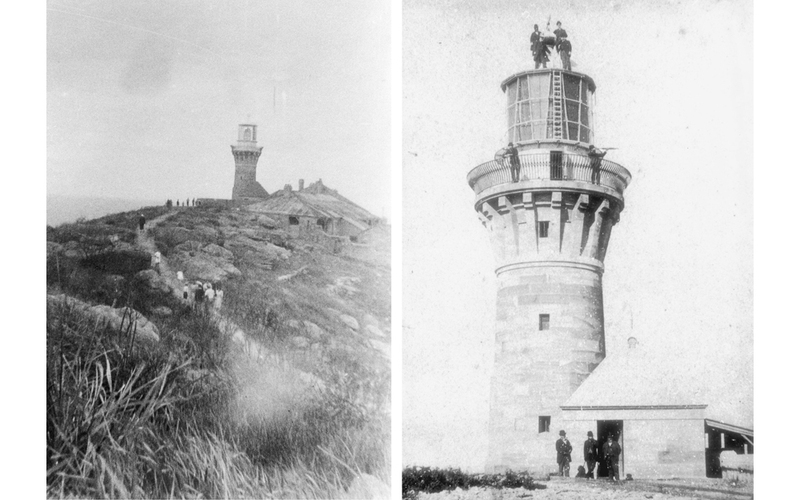 the plan served as a guide the long term management of the cultural landscape. 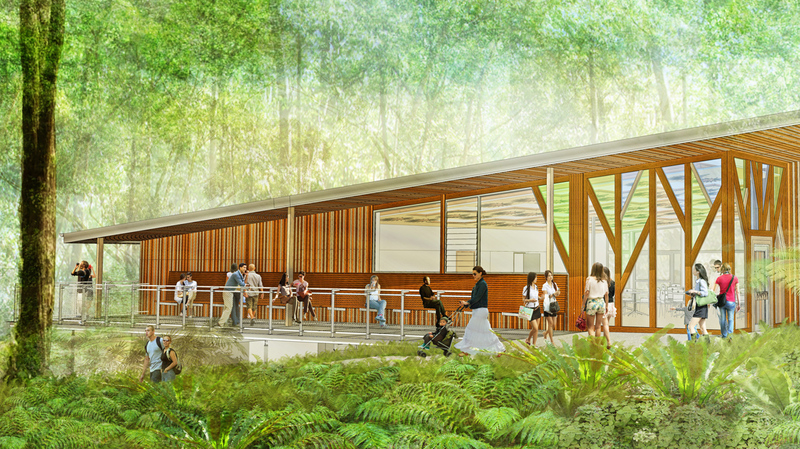 As well as management guidelines, the plan also provides detailed proposals for new planting, infrastructure and recommendations for bush regeneration. 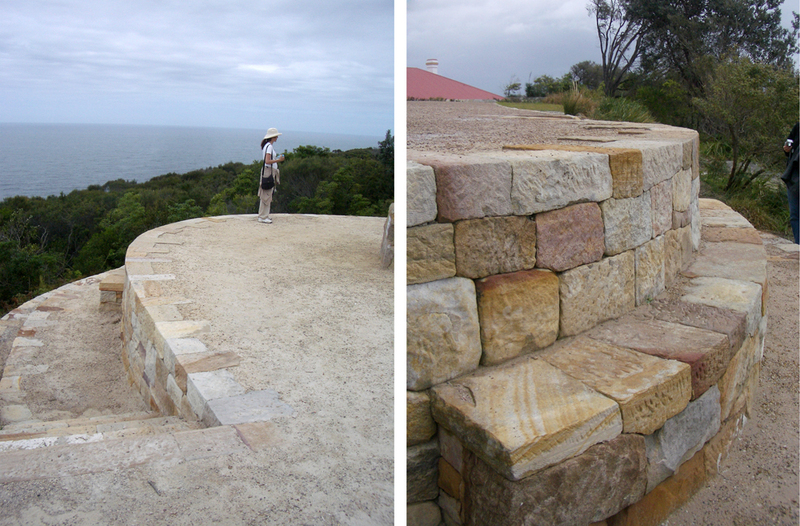 The award winning Masterplan completed more than 10 years ago included design concepts for various areas on the headland now built. 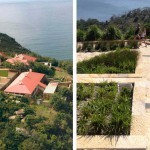 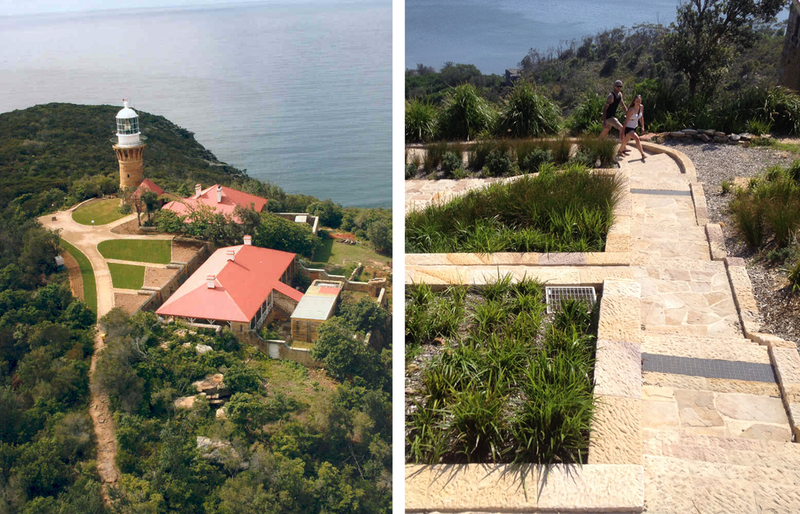 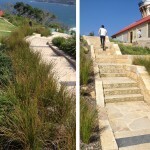 Phillips Marler recently carried out the second stage of the Masterplan – design and documentation for the landscape between the Lightkeepers Cottages and the Smugglers Track, which is the steep ascent that traverses the south facing slope of the headland from the beach below. 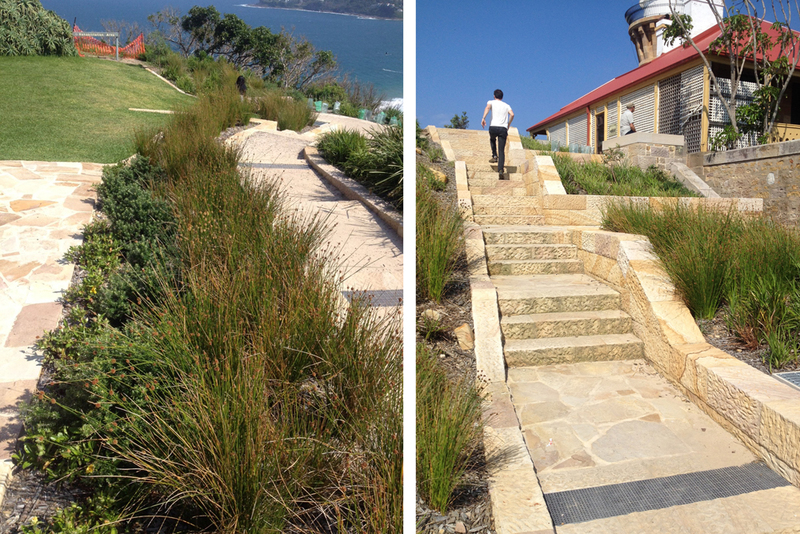 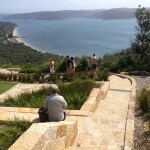 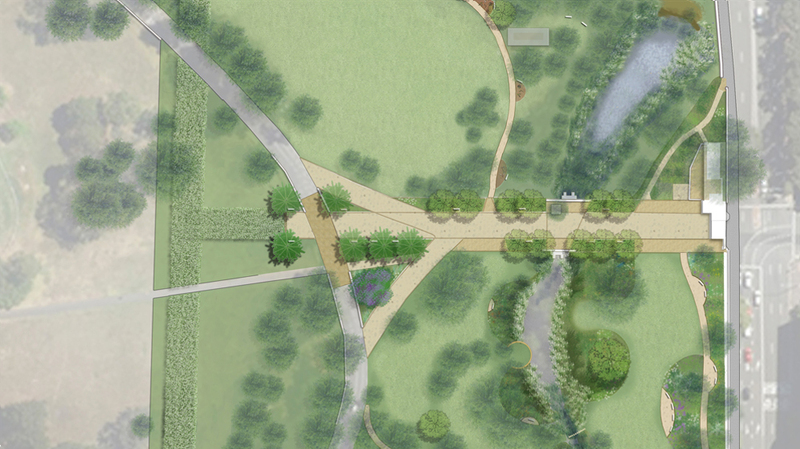 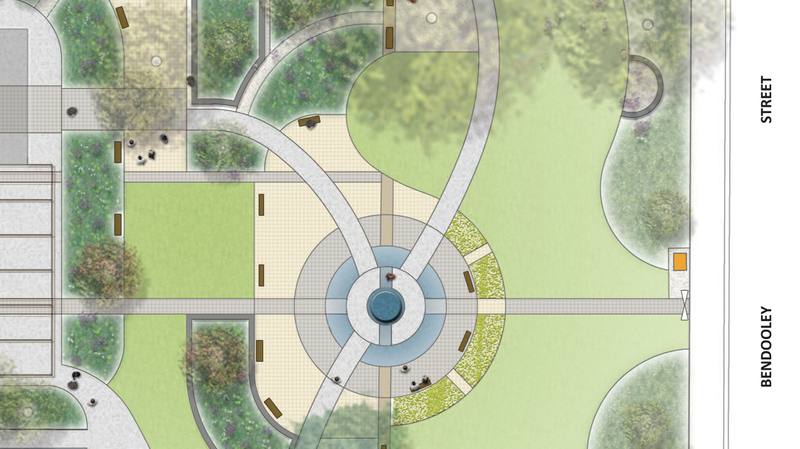 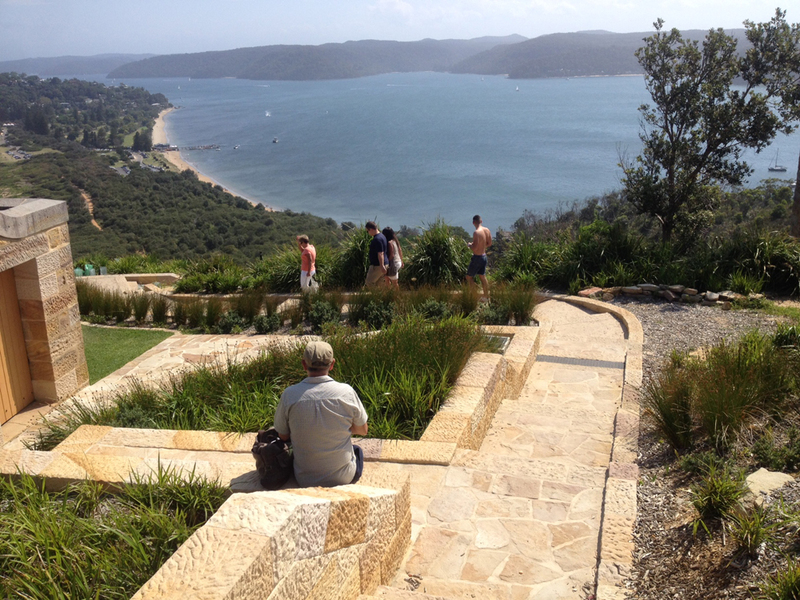 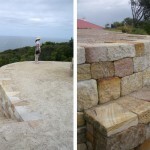 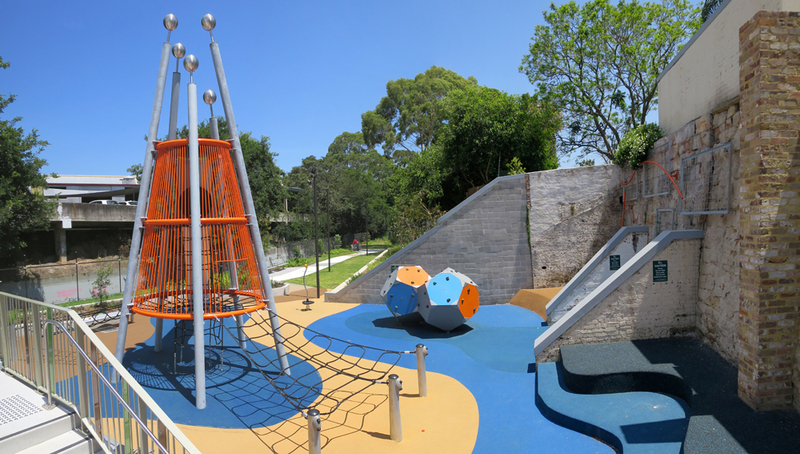 These works included an extensive use of sandstone to create sandstone viewing areas, paths, steps and walls with large areas of new trees and native planting.